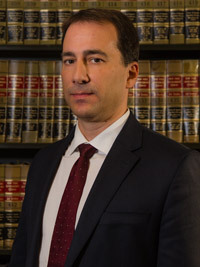 MARK A. HEALY concentrates his practice in the litigation and defense of complex civil cases, involving liability, indemnification, insurance coverage and damages issues. At MDAF, Mr. Healy specializes in all aspects of litigation and trial work with an emphasis on construction and premises litigation. He has obtained numerous defendant's verdicts and dismissals at trial in premises, motor vehicle, and general liability cases. Mr. Healy has extensive experience working with medical expert witnesses, engineering experts, accident reconstruction, and economic and vocational rehabilitation analysis. Obtained a defendant's verdict in a municipal liability case in which plaintiff alleged that she fell while descending a stairway at a subway station and sustained a fractured kneecap. Obtained a defendant's verdict in motor vehicle case where plaintiff underwent back surgery following accident. At trial, Mr. Healy successfully argued that surgery was not causally related to the accident. Obtained a minimal damages award at trial in labor law construction case involving a table saw that severed plaintiff's finger. Ramos v. City of New York, 910 N.Y.S.2d 62 (2010) - Represented a security guard company in a matter in which plaintiff, an employee of the company, alleged severe electrical shock when he pressed a switch for a heater while at work. On summary judgment, obtained dismissal of complaint and all cross-claims, as activity was clearly outside of the scope of plaintiff's duties as a security guard. Bishop v. Toys R' Us, 2009 WL 440434, 2009 U.S. Dist. LEXIS 17377 (SDNY 2009) - Plaintiff alleged discrimination and civil rights violations of Sections 42 USC 1981 and 1983 based on receipt-checking policies of Toys "R" Us and security guard company. Complaint and all cross-claims dismissed.